A few weeks ago I once again had the honor to represent HFTP at a global event, the third annual Sydney Summit held on August 17, 2016. The summit had both HFTP members and prospective new members as attendees, and was sponsored by both HFTP and Deloitte. 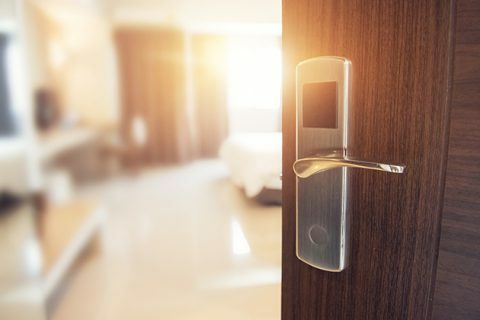 Special thanks to Alex Collinson, partner, assurance and advisory for welcoming the group and providing a quick overview of the state of the Australian Hotel Industry. The summit covered a variety of subjects, all which were well-received. My presentation focused on “Capital Expenditures versus Operating Expenditures.” Significant time was spent discussing the recent accounting changes related to moving towards a cloud environment. Then, Lyle Worthington, CHTP industry consultant and HFTP Global vice president, followed with a session on technology security issues. A round table, which included our very own HFTP Global Secretary Scot Campbell, CHTP and moderated by HFTP Global Board Member Ted Horner, followed on guest facing technology. 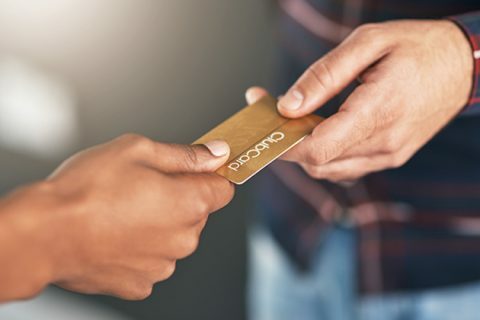 To culminate the event, Daniel Conti, Jr., CHAE, CAM director of finance at Wyndham Grand Jupiter Resort and HFTP Immediate Past President, provided some great insight on how customer service is also a finance and technology must. HFTP Global President Arlene Ramirez, CHAE, CHE, CHIA, MBA speaking at the HFTP 2016 Sydney Summit in Sydney, Australia on August 17, 2016. What a great event – what made it stand out was how much the audience participated. 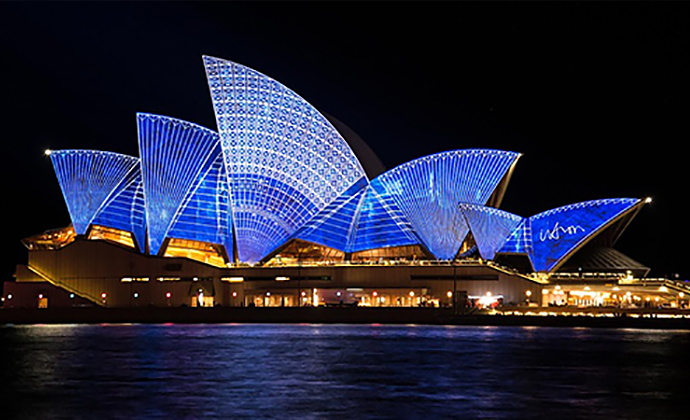 The Deloitte offices were a great venue, making it very accessible to most of the participants, and furthering everyone’s excitement that HFTP is making a stronger presence in Australia. 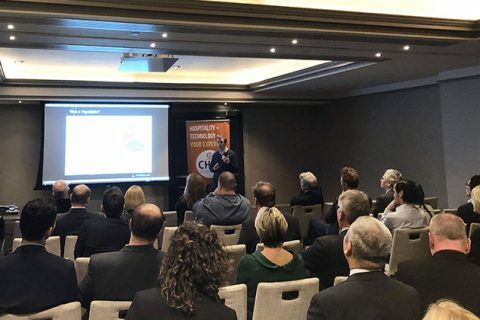 Once the summit was over, the HFTP Sydney Chapter, headed by Chapter President Damien Murphy, CHTP, hospitality product specialist at The Star Entertainment Group Ltd, had its monthly chapter meeting – it was great, no one wanted to leave. 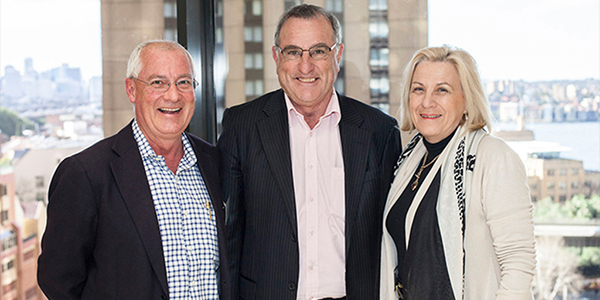 Ted Horner (center), board member at HFTP Global, at HFTP’s 2016 Sydney Summit. Earlier that day, we also attended the Ted 2016 CEO Technology Summit, which was held at the Telstra Customer Insight Centre. Again, HFTP was on full display with Scot Campbell as the keynote speaker. Attendance was great and many of the attendees hearing about our summit later that day decided to attend it as well. The Telstra Centre showcased various new technologies and was an outstanding venue. 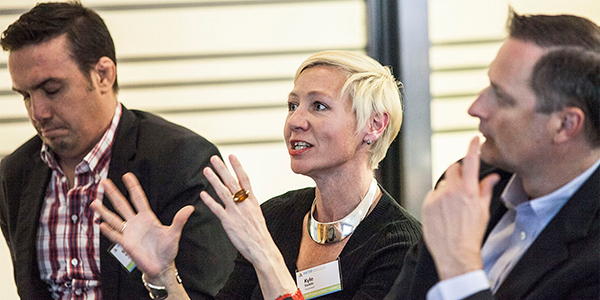 Discussions at HFTP’s 2016 Sydney Summit. As I ponder back on the trip, it seems surreal as the equivalency of time we spent in meetings and presentations almost equaled the time we spent in the air flying to Sydney, Australia from the United States. Being able to bring awareness to what HFTP has to offer the hospitality industry and meeting our members from “down under” was a very rewarding experience. As always there are insights gained by listening and observing how the challenges we all face are addressed around the world. I look forward to seeing some of our Australian “mates” at future HFTP events, and maybe even getting more involved in the global association. Thank you for your hospitality and warm welcome – cheers! 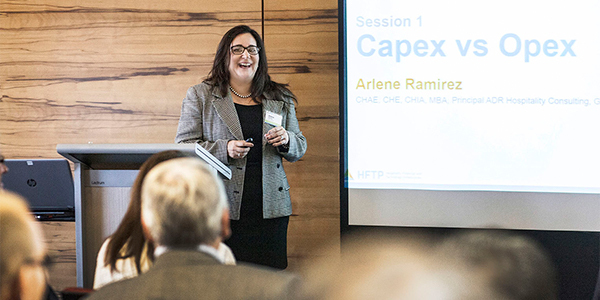 Arlene Ramirez, CHAE, CHE, CHIA, MBA (@ArleneDRamirez) is the 2015-2016 HFTP Global president. She is principal at ADR Hospitality Consulting and on the faculty at the C.N. Hilton College, University of Houston. 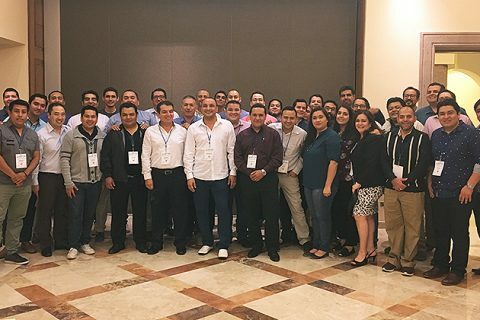 Ramirez is also a frequent speaker at HFTP Global events.